Ah, the olive tree. The most beautiful, healthful and powerful of all trees - or at least that's our school of thought here at Queen Creek Olive Mill. In celebration of Arbor Day, we wanted to shed light on this incredible tree with a rich rooted history (no pun intended) that still lives strong today. 2. The oldest certified olive tree is more than 2000 years old! It lives in Greece and still bears fruit. 3. 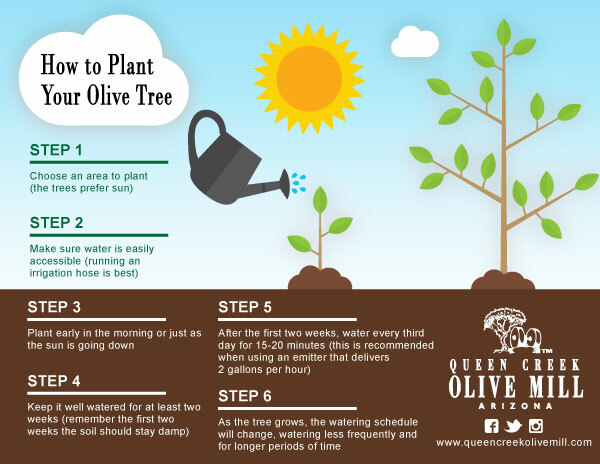 The olive tree ranges in height from 10 to 40 feet and has numerous branches full of silvery-green feather-like leaves. 4. It's protected by the Law. In Ancient Greece, a person could be fined for digging up too many olive trees, even on their own land. Greece doesn't mess around! 5. It thrives in Arizona. The trees need a long, hot summer and a cool, not frigid, winter - a Mediterranean climate is best. Warm, arid conditions help keep natural pests away. 6. Olive tree waste provides renewable energy; when burned it produces 2.5 times the heat of burning wood, and the smoke is harmless. Its ash is used for fertilizing gardens. 7. The wood of an olive tree is resistant to decay. 8. The olive tree is WONDROUS. It provides a tasty fruit for consumption after it's cured. It gives us an incredibly healthful oil that can be used for cooking, skincare, lighting and spiritual purposes. And, it grows a powerful leaf that's used in medicinal teas and extracts. Dang. 9. 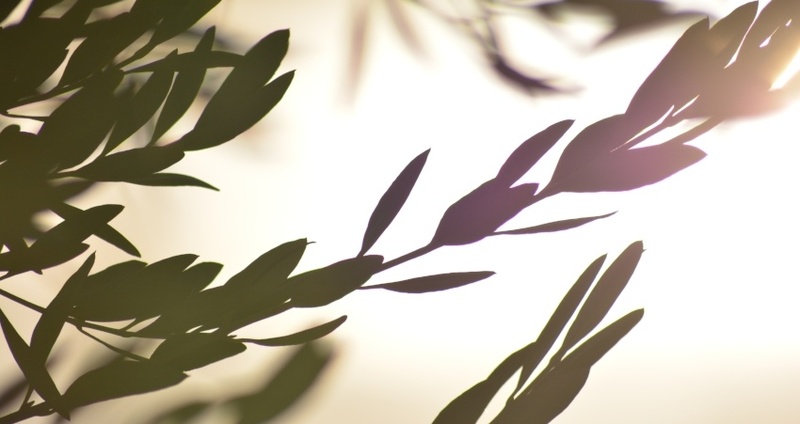 The olive branch has long been regarded as a symbol for peace. It appears on the national flags of seven nations, four US states and the flag of the United Nations. Have questions about Olive Oil? Get the answers here! We're thankful for the olive tree and the bounty it gives to us. What type of tree is your favorite? Let us know in the comments below!